What we give our kids today can have a lasting impact on who they are going to be when they grow up. There is one gift that is overlooked by ads, catalogs, and even Santa himself. It does not cost a whole lot of money and can give your kids lifelong benefits. That gift is exploring nature. Yes, kids do love outdoor activities. Many of them just have not been properly introduced yet. It makes sense---our modern world is not exactly the place that encourages that sort of experience. Getting your kids moving and spending less time in front of a screen are obvious benefits of showing them the outdoors. But there are other benefits that are not so obvious. School is boring (ask your kid if your memory is not so fresh) and games are super fun. That is why kids cannot wait to plug into their gaming console or computer as soon as they get back from school. Recreational fishing is a great way to emulate the gaming experience but instead of doing it in a confined area in front of a screen, they can actually experience the world while doing it. Fishing also serves as a lesson in patience, it forges grit and teaches kids to get things done with their own hands. 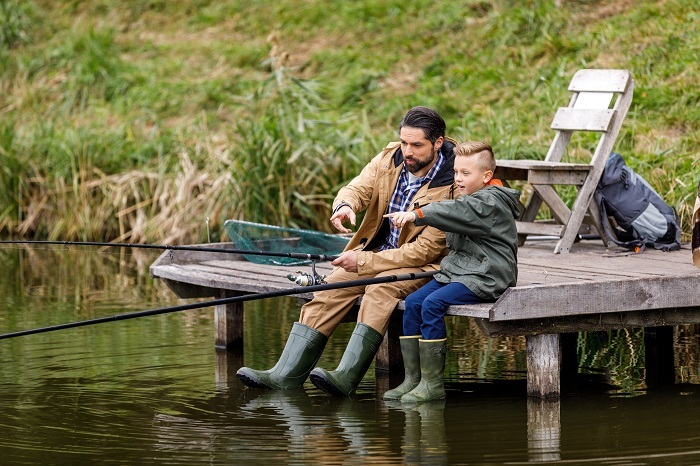 Introducing your kids to fishing is both easy and fun. Fishing is no longer dependent on pure intuition and knowledge of a specific terrain possible only to experienced anglers. 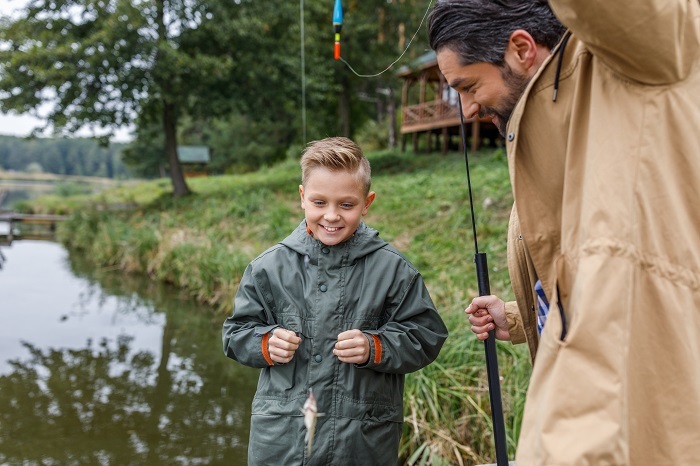 Kids can use a fishfinder such as Deeper START to monitor water depth, explore vegetation, and find fish, giving them the chance to not only catch fish, but learn about science and technology in the process. 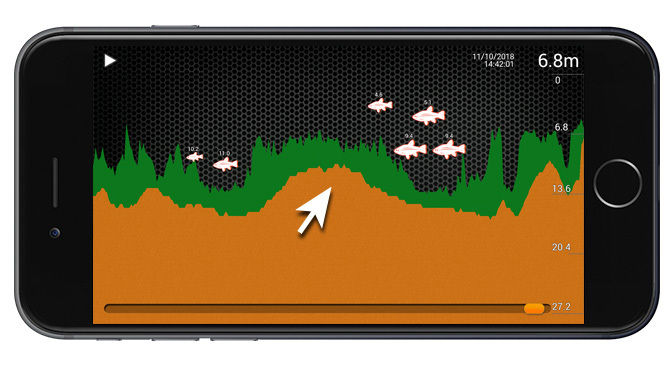 The fish finder (aka sonar) is very easy to use, it is portable, and you just cast it into the water and watch your kids strive to catch as many fish as possible! 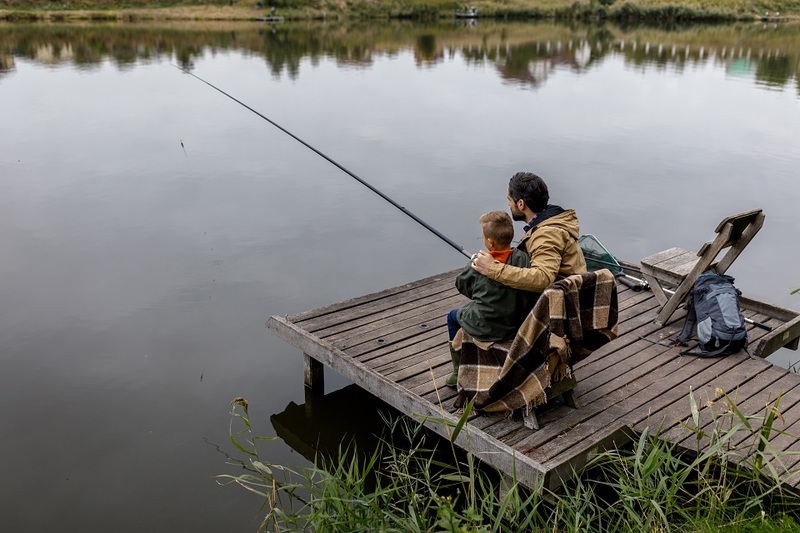 This is an easy way to avoid your kids thinking of fishing as "boring"...they will be engaged even if they do not catch anything at the beginning. What to do when all you have in front of you is boundless nature? You look at who is next to you and embrace them in a deep conversation. Sharing stories, hopes, and aspirations while casting your fishing line just becomes the natural thing to do. Recreational fishing is not so much about the fish, but about building strong bonds and having amazing stories to share. Start to fish with your kids and you will know them better than ever. Hey, you can even learn some badass fishing tricks together. We all need to learn to appreciate and take better care of our surrounding environment. Taking your kids out for some quality family time in nature increases the chances they will be the ones safeguarding the environment instead of polluting it. Nothing makes you appreciate something more than experiencing it first hand. Getting your kids outside will show them how to pick up after themselves, understand how precious nature is, and how they can have an impact on preservation, even at their early age. By exploring nature you can always discover something new and fascinating. After spending hours in nature without the distracting company of video games, your kids will become more watchful and curious about their surroundings. The spike in curiosity will help them in other pursuits as well. Since curiosity fosters achievement, creativity, and academics. Hanging out in nature teaches kids to have fun wherever they are. Soon they will start exploring plants, lakes, and will ask more questions than you can answer. Everyone will have their fair share of challenges. The winding road of life brings lots of hurdles. Having nature as solace during tough times can be a healthy escape to recharge, reconnect, and relax. You are probably well aware of this, but with today’s tight schedules, pressure, and connectedness, your kids are most likely not aware of such a simple solution. Nature is the perfect backdrop to practice replenishing activities such as fishing or hiking. In his classic book, Walden, celebrated American author, Henry David Thoreau, describes his life in a secluded house on the banks of Walden Pond in Concord, MA. One of the greatest lessons Thoreau mentions is how the experience of living in nature helped him to live a simpler and happier life. You and your kids can also learn to live better and simpler, appreciating moments and relaxing in the grand beauty of nature. Previous Post What happened to the lost Deeper Sonar?